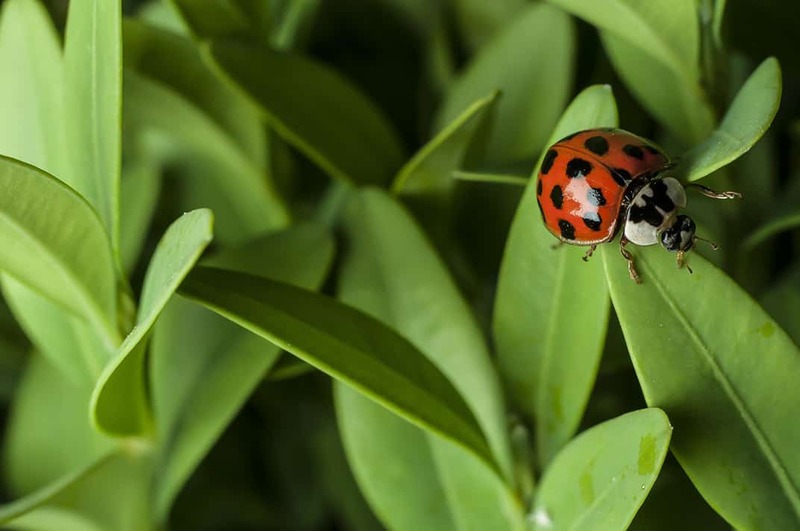 Beneficial insects: Long before humans decided that they ought to have lots of plants around them, nature took care of things pretty much on her own without our help, keeping things in healthy balance of who ate who. Like the use of broad spectrum anti-biotics, we don’t do our health—or the health of our gardens—any favors by spraying wildly broad- spectrum insecticides. If we take the time to know a little about insects, we can let them do the work for us to keep the garden in healthy balance. Keep in mind, insects have many different life-cycles, so it’s also necessary that we have some pictorials of baby beneficial insects, so we can watch for them, too. Take baby lady bugs: they look like small red and black alligators, very different from their domed adults. And they are aphid-eating machines! Even baby lady bugs eat aphids. A good resource is a laminated sheet called, “Mac’s Field Guide to Bad Garden Bugs.” One side has the problem insects in their life-cycle forms, and the other side has the beneficial insects. High value at about $2.00. What to use: In my extensive garden, there has not been a time in recent history when I’ve had an insect problem I was not able to solve with either a hard hose spray or some insecticidal soap. I realize that much of this is due to a long practice of letting my insects friends—and birds—help me manage things. But even still, I might on occasion get an aphid infestation without any ladybugs around to help me out. In this case, a measured amount of insecticidal soap mixed in a pump sprayer is an easy remedy. Lacking soap concentrate, I have also used a hard hose spray. Aphids are soft-bodied insects who when hit with a hose spray, is the equivalent to going over Niagara Falls without a barrel.